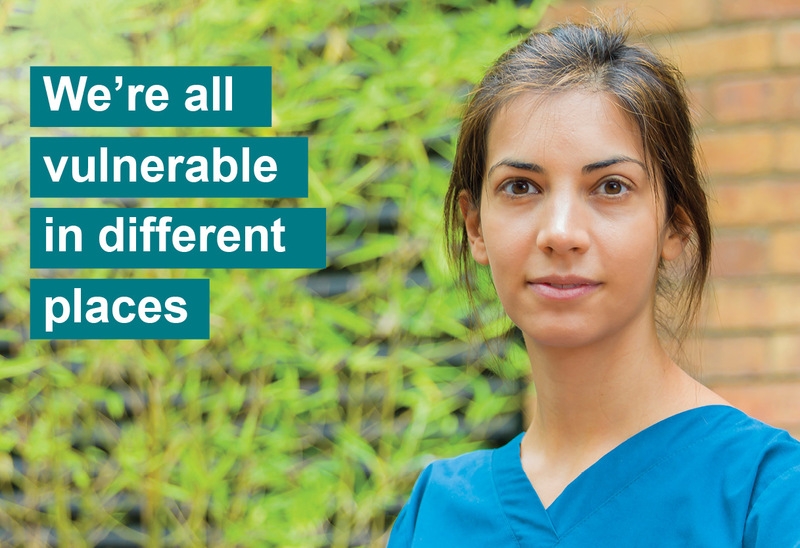 Caring for people is the very essence of what the NHS stands for. But the NHS staff survey shows one in four staff say they have been bullied or harassed at work. 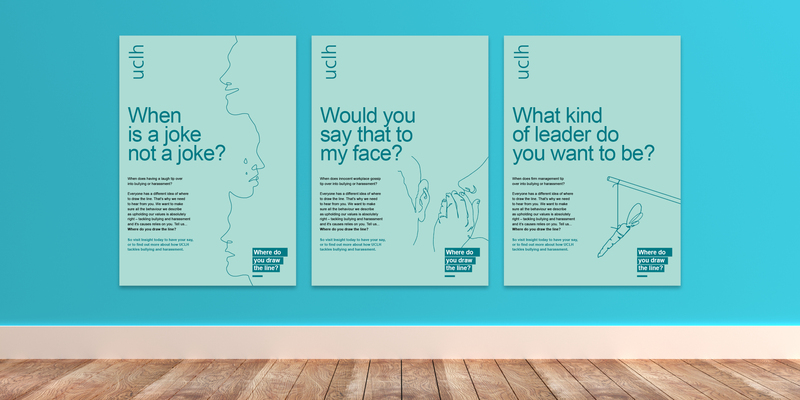 University College London Hospitals (UCLH) asked us to develop a staff engagement campaign to tackle bullying in their area. Our research shows the issue is anything but black and white. What might be considered “banter” to one person can just as easily hurt another. 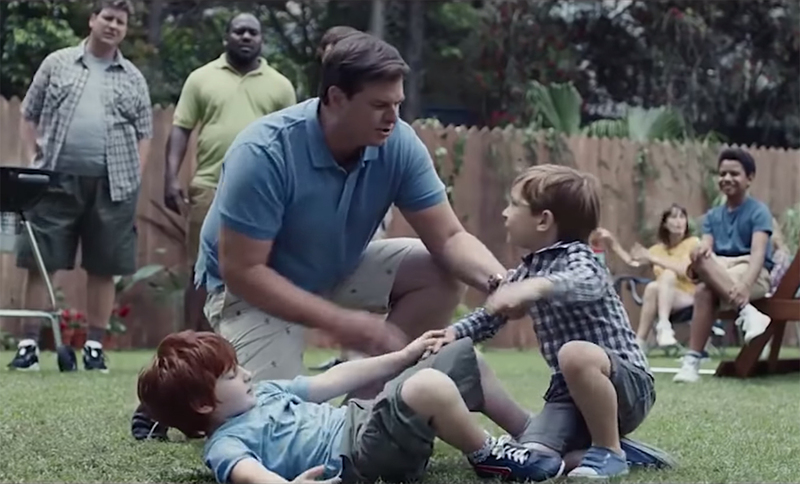 We created a campaign that was equally nuanced. 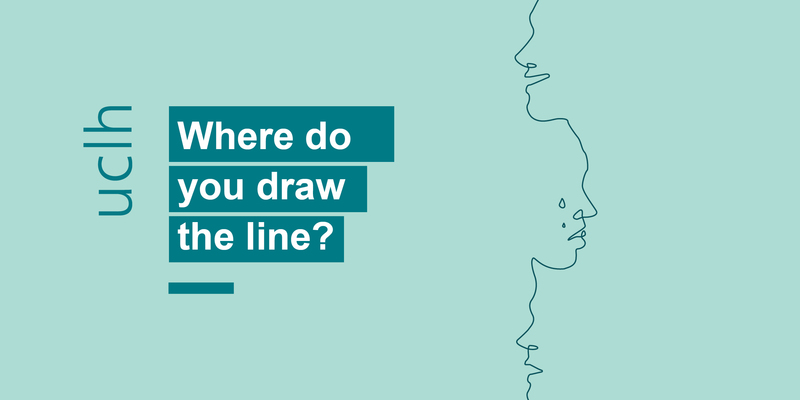 “Where do you draw the line?” was the question we posed to staff. A simple line drawing motif reinforced the theme. 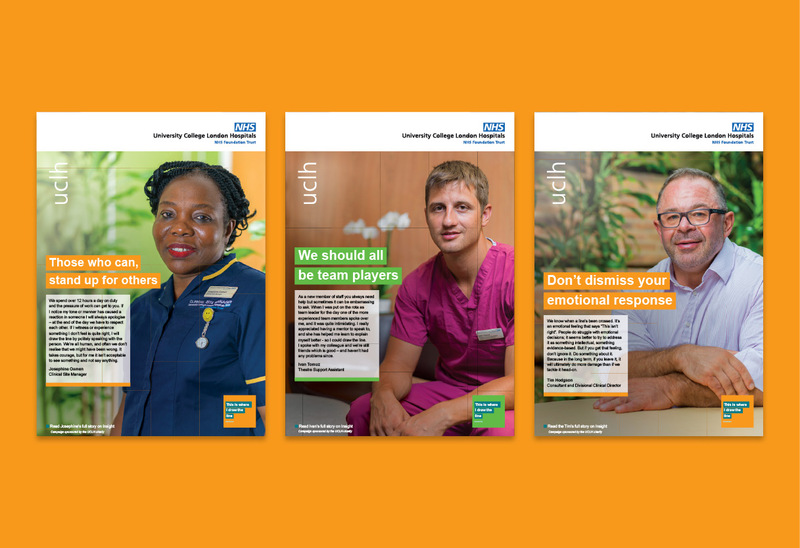 We used the intranet, podcasts and animation to spread the message. And rather than a blanket message of zero tolerance, the roll-out was equally nuanced. Phase 1 invited staff to assess their own attitudes. Phase 2, “This is where we draw the line”, showcased the results, letting individual employees explain their stories and actions. 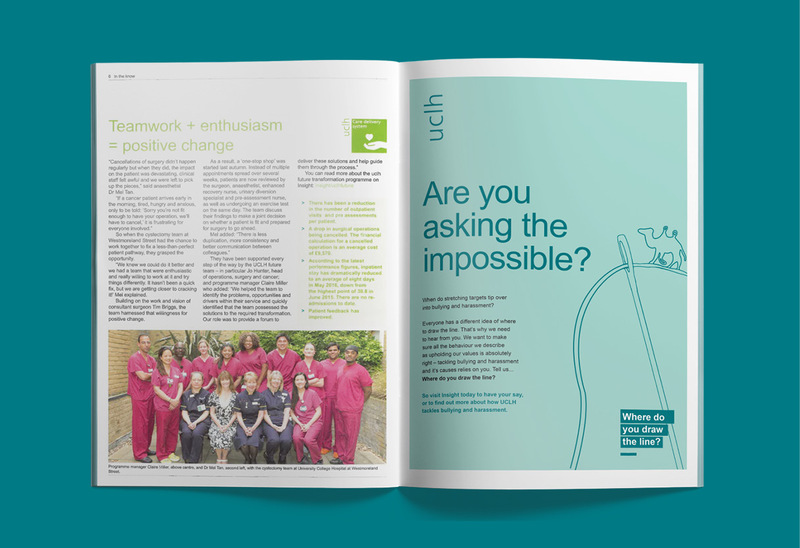 Opening up this difficult conversation led to a new and improved code of practice, building in feedback from staff all over UCLH.